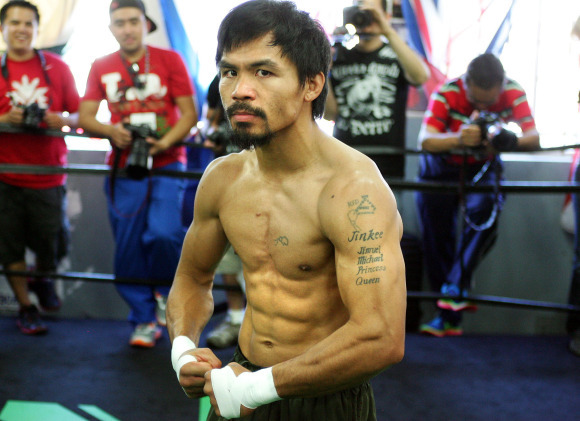 Manny Pacquiao is not perfect. He’s not unbeatable. He’s not impossible to root against. Imagine that. In the last seven months, nothing has quantitatively changed for Pacquiao, who is still on a winning streak and still one of the most insanely famous people in the world. And yet it feels like things are on the precipice of changing. There’s no need to trot out the “oh, how the mighty have fallen” cliché for him just yet. But there’s something vaguely in flux about the Filipino living legend’s aura, and the idea of the mighty falling is suddenly conceivable. We came into Pacquiao’s last couple of fights simply asking “how” and “when” with regard to the result. As Pac-Man prepares to enter the MGM Grand ring June 9 against Timothy Bradley, the word “if” is creeping into our collective vocabulary.